BeFrugal reserves the right to amend these Terms and Cash Back at any time without notice. BeFrugal is owned by Capital Intellect Inc. Use of the services provided by BeFrugal is regulated by the following terms and conditions. By using these services, users consent and agree to these terms and conditions. If a user finds the terms and conditions unacceptable, they should discontinue use immediately. BeFrugal does not offer any warranties for the products, promotions, coupon codes, and special offers being provided by participating retailers and advertisers. We do not control these retailers, do not endorse them, and are not responsible for any aspects of their websites or businesses. Retailers can at any time alter or cancel any and all coupons/promotions. Our service involves publishing links to online retailers as well as printable coupons redeemable at brick and mortar establishments. The primary purpose of BeFrugal is to help members save money on all their purchases via Cash Back, coupons, hand-picked deals, money-saving tools and more. The BeFrugal Add-On keeps members up to date on Cash Back and coupon alerts. When the Add-On is installed users will remain logged in to BeFrugal allowing for eligible Cash Back purchases to be automatically recorded. This will eliminate the step of having to log into BeFrugal before shopping. BeFrugal Cash Back program allows BeFrugal members to receive Cash Back on all of their purchases made through BeFrugal. Qualified retailers will be identified on the website along with the percentage Cash Back amount members will receive. Getting started is simple, just set up a BeFrugal account, and start shopping. Utilizing a BeFrugal account allows members to view Cash Back earned from their BeFrugal qualified purchases. BeFrugal is not responsible or liable for Program changes or removal of an Affiliated Store, an Affiliated Stores decision to withdraw from the Program and the impact this has on an accrued Cash Back balance. BeFrugal is not responsible or liable for Program changes or removal of coupon codes and/or discounts and the impact this has on an accrued Cash Back balance. The BeFrugal Program and Applications are provided to members "as is" and with no warranty. BeFrugal may terminate the Program and Applications at any time with or without notice or reason. To the maximum extent permitted by law, BeFrugal disclaims all representations and warranties, express or implied, in regards to the Program and Applications. The BeFrugal Program and Applications are provided with no guarantee regarding the quality or accuracy of advertisements for products provided by Affiliated Stores. BeFrugal does not guarantee that while using BeFrugal and its Program and Applications the site will be free of errors or interruptions. Also, BeFrugal assumes no liability or responsibility for any damages due to site errors, interruptions or inability to access BeFrugal Programs and Applications. BeFrugal is responsible for maintaining and tracking member's Cash Back and Bonuses. Cash Back earnings are calculated as the net sale amount (total sale adjusted for taxes, shipping and other fees) multiplied by the retailer's Cash Back percentage amount noted on BeFrugal. Members will receive payment via check, PayPal, Direct Deposit to Bank Account or eGift Cards. Payment via PayPal and Amazon gift card is available for all members. Payment via direct deposit, check or non-Amazon eGift Card is available for members residing in the US only. A member's payable account balance must reach a minimum withdrawal amount listed next to each payment method in order to be eligible for payment. Members may accept these updated Terms and Conditions to request a PayPal or Direct Deposit payment on any verified balance of $0.01 or greater. For lost checks, please contact us to request a stop payment. We will waive the stop-payment fee for the first lost check. For any subsequent lost checks, a $10 fee will be assessed. There is typically a 0.50% (or 0.005) fee on the total payment amount charged by PayPal to process international transactions. In instances when this international fee is charged on the PayPal transaction, it will be deducted from that member's Cash Back balance. BeFrugal members who elect to receive their payment via a eGift Card will get a cash bonus added to their payment request. Bonus amounts are specified next to each eGift Card payment method on the Payments page of the account. Cash Back payments will be sent to members on average within 1 business day of payment request. For eGift cards we are unable to re-issue an eGift card payment once it has been processed. Members will need to contact the retailer or vendor for any eGift card issues once payment has been processed. Member's balances are segregated and held in a restricted cash account maintained by BeFrugal. Members are responsible to keep their BeFrugal account information current. Depending on the tax laws in your city, state or country, members may be taxed on referral bonuses and prizes earned through BeFrugal. In all instances, members are solely responsible for any tax liability from your usage of BeFrugal. BeFrugal is not responsible for any lost mail or checks. For any re-issued check a stop payment fee will be incurred. BeFrugal reserves the right to withhold payment of Cash Back rewards for suspected fraud, abuse of retailers or BeFrugal website, use of email spam to promote referrals, or for creating multiple user profiles. If you feel your Cash Back rewards are being withheld in error, please contact us. Any fraud or abuse relating to earning or receipt of Cash Back rewards, or any misrepresentation of information furnished to BeFrugal or its retailers partners by you or anyone acting on your behalf may result in the termination of your BeFrugal account and forfeiture of Cash Back rewards. The determination of whether or not a purchase qualifies for Cash Back is at the sole discretion of BeFrugal. If a retailer fails to report a transaction to BeFrugal or withholds payment to BeFrugal, BeFrugal reserves the right to cancel the Cash Back associated with that transaction. BeFrugal is not responsible for lost or stolen payments, or for payments delivered to the wrong address. BeFrugal members are not permitted to use any paid promotional method for soliciting Cash Back sales through their BeFrugal account or to earn referral bonuses. This includes, but is not limited to, ppc ads through networks such as Google AdWords or Bing AdCenter, Facebook Ads, Twitter Ads, email marketing, banner advertising, content/display ads, and retargeting. Termination of any account without a notice can be made at BeFrugal's discretion. BeFrugal membership is free and there is no charge for Membership or for earning Cash Back. However, if your account is inactive for more than 365 days, it becomes dormant. BeFrugal reserves the right to debit dormant accounts $2.00 per month for maintenance until the account balance reaches zero. You will not be charged a maintenance fee if such a charge were to cause your Cash Back account balance to be negative. Also, if you have not been charged a maintenance fee in the month due, you will not be charged retroactively. You can reactivate your dormant account by starting a shopping session via BeFrugal or via BeFrugal's applications. Once your account is reactivated, all maintenance fees can be voided by contacting BeFrugal support. If a member believes that Cash Back has not been accurately reported to his/her account, it is the responsibility of the member to submit a Cash Back inquiry via the BeFrugal customer support ticket form. Cash Back inquiries must be submitted no earlier than 7 days and no later than 60 days after the transaction date. For most travel-related Cash Back, credit is issued over the course of two transactions. An initial reservation record of $0.00 will post within 7 days of your travel purchase. This indicates that the sale was traced from the travel site to BeFrugal. As a second step, a Cash Back credit on eligible portions of your booking will post within 60 days of completing your travel. If no reservation record of $0.00 is posted in your account within 7 days of the travel purchase, please submit an inquiry. Such inquiries where no reservation record was posted must be submitted no later than 60 days following the travel purchase. For purchases that do have a $0.00 reservation record, inquiries may be submitted for a longer period, up to six months following the travel purchase. The details of the current Refer-a-Friend bonus terms can be found here. The terms for the past Refer-a-Friend Bonus programs can be found in the Bonus Activity section of the account. 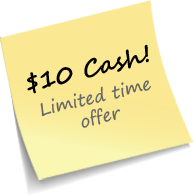 Refer-a-Friend bonuses become available for withdrawal when referred friends earn $10 in Cash Back within 1 year of their join date. Members may earn multiple Refer-A-Friend Bonuses by referring multiple new members. To earn a Sign-Up Bonus a member must join BeFrugal during a promotional period or via a link or web page on BeFrugal where such bonus is being promoted and fulfill the terms of the Sign-Up Bonus as stated at the time. Each member is eligible for a maximum of one Sign-Up Bonus. Members eligible for a Sign-Up Bonus who have joined BeFrugal on or after Mar 29, 2018 must earn $10 in Cash Back within 365 days of join date. The Bonus becomes Payable, i.e. available for withdrawal, within 30-90 days after purchase date. Members eligible for a Sign-Up Bonus who have joined BeFrugal between Jul 10, 2017 and Mar 28, 2018 must earn $10 in Payable Cash Back within 90 days of join date in order to withdraw the Sign-Up Bonus. Members eligible for a Sign-Up Bonus who have joined BeFrugal prior Jul 10, 2017 can find their Sign-Up Bonus terms in the Bonus Activity section of their account. Members may not abuse the bonus system by utilizing the use of bots, paid advertising, SPAM, fake personas, and/or other suspicious or fraudulent identity. If BeFrugal deems the program is being used for any illegal or fraudulent activity it will result in legal consequences, termination of member's account, forfeiture of any bonuses and Cash Back. Determination of bonus eligibility will be at the sole discretion of BeFrugal. Periodically, BeFrugal may run specials in which new BeFrugal members are eligible to receive specified product(s) Free After Cash Back. To be eligible for a Free Product Offer, new members must create their BeFrugal account through the sign-up form that appears after clicking on 'Activate Free Product Offer' button. The member will then need to purchase the specific item from the specific retailer within defined time period to complete offer and earn Cash Back in an amount equal to the cost of the product. New members who sign up via a Free Product Offer are typically not eligible to earn a Sign-Up Bonus. Full terms for each Free Product Offer can be found on the offer's page. Existing members may refer potential new members to Free Product Offer and will earn a Refer-a-Friend Bonus for each new member who joins BeFrugal and completes the Free Product Offer. BeFrugal services are provided with no guarantee regarding price, terms, availability, quality or warranty. In addition to reviewing individual retailer's privacy policies, users should also carefully review their refund and return policies before making any purchases. BeFrugal does not accept payment for purchase made from other websites and therefore cannot provide refunds. BeFrugal is not responsible or liable for any purchases made through participating retailer sites, nor is it required to provide support for such purchases. Complaints regarding any purchases should be directed to the retailer involved. Users of our services agree to not hold BeFrugal responsible for any and all damages arising from the use of this service and its associated links. Although BeFrugal makes a significant effort to make sure published coupons and Cash Back rates are accurate, BeFrugal is not responsible for inaccuracies in coupons or Cash Back rates other than to the extent explicitly stated in the Coupon Guarantee and the Cash Back Guarantee. How does the BeFrugal Coupon Guarantee work? 1. All online coupons on BeFrugal are guaranteed to work. 2. If you place an order through BeFrugal and the discount does not work, please contact us within 24 hours. Provide order/product details regarding your purchase. 3. After we verify your problem, we will add $5 to your BeFrugal account. Determination of eligibility will be at the sole discretion of BeFrugal. Important: You must ensure that your purchase meets all requirements. Please check for any exclusions or restrictions listed for the coupon either on BeFrugal or on the store's website. 2. Cash Back Rate Guarantee does not apply to rates offered by paid membership rewards sites or credit card rewards programs. 3. Limit one per store per member. 4. Maximum credit of $25 per transaction. This guarantee does not cover Cash Back rates where there is not a direct equivalent rate listed at BeFrugal. Examples include, but are not limited to, promotional Cash Back rates offered only to individual members or a fixed number of members, or one-time use Cash Back rates. This site is for personal use only and may only be copied or distributed as such. No person or organization may use, or reproduce in any form, any part of BeFrugal for commercial purposes without prior written consent. Any reproduction, duplication, distribution, publication, modification, or transmission of material from this site is strictly prohibited. Material covered by this prohibition includes, but is not limited to, any text, graphics, logos, photographs.